A lot of stress has been given towards decreasing the number of cars present on the road by actively promoting carpooling, improvising the transit system and creating bike paths. These attempts will help in freeing the roads in mega cities which possess vast road system but no one has given the thought towards making transit easier in those cities where waterways are abundant. There is a great scope in bringing such vehicles which revolutionize the use of rivers and canals among the commuters. Thankfully one company thinks about them, SeaBubbles, has come up with an elegant solution to popularize the river ways and canals by unveiling its futuristic four-passenger water taxis. SeaBubbles futuristic water taxis will help in building city wide transportation network on waterways. These water taxis can easily be summoned by an Uber-like app and these happen to be self-driving in nature which passengers will just have to feed in the destination and get ready for a memorable ride at 30 mph. It was started literally started by water navigators namely Alain Thebault, a sailor and Anders Bringdal, a windsurfer about seven months ago. They have raised $500,000 with SeaBubbles and they have set a goal of making it up to $1million by next year. SeaBubble expertise comes from the experience of the team behind it. Thebault has successfully built a win-powered trimaran yatch called Hydroptere in the past. The best thing about this yatch is that it barely touches the water surface instead swiftly glides few feet in the air. It has made a number of modification and revision to the concept art. At first it shows no room for the wings but later on brings wings for added agility. 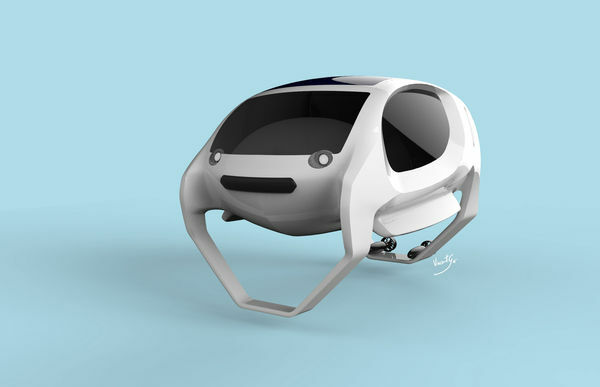 It should be understood that SeaBubble is actively working towards improving concept art and to attract funding from the prospective investors. As per the estimates of the SeaBubble its water taxi will be ready for testing in August 2016 and it will get into production phase in January 2017. It has set the target of May 2017 fo deliveries of the water taxis. It has a number of hurdles in front of it which includes proving that boat actually works; making perfect designs for the docking stations and it abides by the local municipal laws. Furthermore drivers will be trained to make use of the self driving software and a unique sensor system will be developed to navigate the tricky water of the rivers. It ambitious water taxis suffer from the geographical limitation which means it can only help in connecting between the two points which borders water. Furthermore these points have to be near transit hubs or luxury or popular destination in order to appear as a prime alternative or lucrative option for the commuters. A number of cities round the globe has navigable river which means SeaBubbles ambitious water taxi will certainly find the fancy of the commuters on global scale.